School bus accidents are among the most tragic of all motor vehicle accidents due to the inherent involvement of young children. As a result, substantial damages are often at issue in cases of this type, and vigorous representation is required to bring all responsible parties to justice. In California, a school district, county or board of education, or county superintendent of schools, or any officer or employee of such district or board may be held liable or or responsible for the conduct or safety of any pupil on a school bus. (see Cal Ed Code § 44808). Once a school district undertakes to provide transportation for its pupils, it has a duty to exercise reasonable care under the circumstances. A school bus-related crash is a crash which involves, either directly or indirectly, a school bus-type vehicle, or a vehicle functioning as a school bus, transporting children to or from school or school-related activities. Since 1995 there have been about 416,295 fatal traffic crashes. 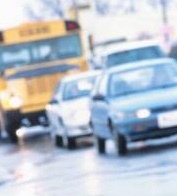 Of those, 0.33 percent (1,368) were classified as school transportation-related. Since 1995, 1,509 people have died in school transportation-related crashes — an average of 137 fatalities per year. Most of the people who lost their lives in those crashes (70%) were occupants of other vehicles involved. Nonoccupants (pedestrians, bicyclists, etc.) accounted for 22 percent of the deaths, and occupants of school transportation vehicles accounted for 8 percent. Since 1995, 170 school-age pedestrians (younger than 19) have died in school transportation-related crashes. Nearly two-thirds (65%) were killed by school buses, 5 percent by vehicles functioning as school buses, and 30 percent by other vehicles involved in the crashes. Nearly one-half (49%) of all school-age pedestrians killed in school transportation-related crashes were between the ages of 5 and 7. More school-age pedestrians are killed in the afternoon than in the morning, with 32 percent of the fatalities occurring in crashes between 3 and 4 p.m. Between 1995 and 2005, 97 crashes occurred in which at least one occupant of a school transportation vehicle died. More than half of those crashes (55%) involved at least one other vehicle. In 52 percent of all crashes involving fatalities to occupants of a school transportation vehicle, the principal point of impact was the front of the vehicle. Since 1995, 6 drivers and 13 passengers have died in school bus body vehicles providing transportation for purposes other than school or school-related activities (churches, civic organizations, etc.). In 1987, one such multi-vehicle crash resulted in the deaths of 27 occupants, including the driver. In all bus accident cases it is essential that measures be taken promptly to preserve evidence, investigate the accident in question, and to enable physicians or other expert witnesses to thoroughly evaluate any injuries. If you or a loved one is a victim of an automobile accident or bus accident, contact Golden Gate Law Group now at 1-800-704-0151. The consultation is free of charge, and if we agree to accept your case, we will work on a contingent fee basis, which means we get paid for our services only if there is a monetary award or recovery of funds. Don’t delay. You may have a valid claim and be entitled to compensation for your injuries, but a lawsuit must be filed before the statute of limitations expires. We have successfully handled cases throughout California including Los Angeles, San Francisco, and San Jose. Call us toll free at 1-800-704-0151 regarding your car accident, dog bite, or personal injury caused by a dangerous or defective product to schedule a free consultation. We work on a contingency fee basis so we never ask you for fees until after we have won your case.